Do you wonder what Audience Development (AD) really means? 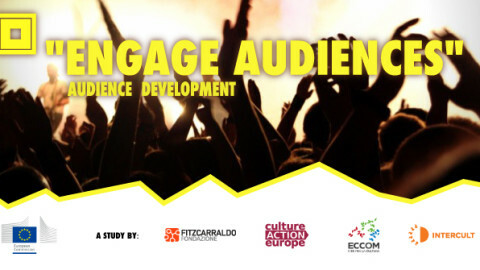 Would you like to know more how to place audiences at the centre? Which tools can you use for a “good” audience development? What are AD practices throughout Europe? We are delighted to present you this summary of the study that addresses organisations, institutions, professionals, academics and students active in the cultural field. 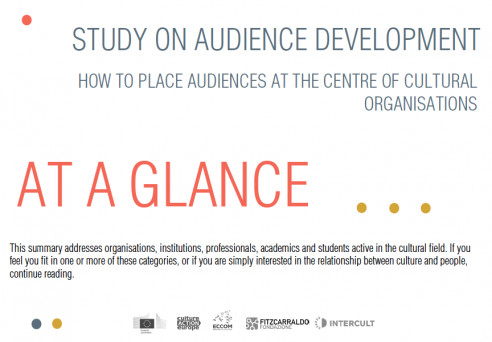 Here you can find more about main findings, questions and stories of the “Study on Audience Development: how to place audiences at the centre of cultural organisations”.